Q: What is a sunspot? A sunspot is a small darkened brown spot that appears on the skin after long exposure to the sun. Once they start to appear, they’ll get darker with more sun exposure. Q: Are you likely to develop sunspots? It depends upon your skin and how exposed you are to the sun on a daily basis. 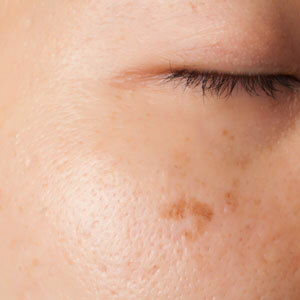 But even if you try to avoid the skin, it is very likely that you’ll get sunspots. 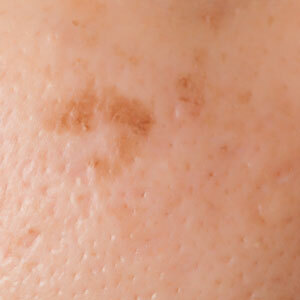 As a matter of fact, over 90 percent of light-skinned people over the age of 60 have sunspots. Q: Do sunspots pose health risks? Sunspots themselves don’t represent a health hazard. They are, however, a clear sign that your skin took more sun than what it could handle and that there is a higher risk of skin cancer involved. Q: How can sunspots be removed? Sunspots aren’t a problem aesthetically as treatment is possible and widely available. There are a lot of homemade remedies out there you can use, but these will take a while to reach your goal. Professional treatment involves a superficial destructive process on the top layer of the skin, which is easy and almost pain free. Talk to your skin practitioner to seek treatment – the earlier the better as sunspots get worse with sun exposure.